Grimm Granite Witch Tower Foam Animatronic Halloween Prop - Dino Rentos Studios, INC. 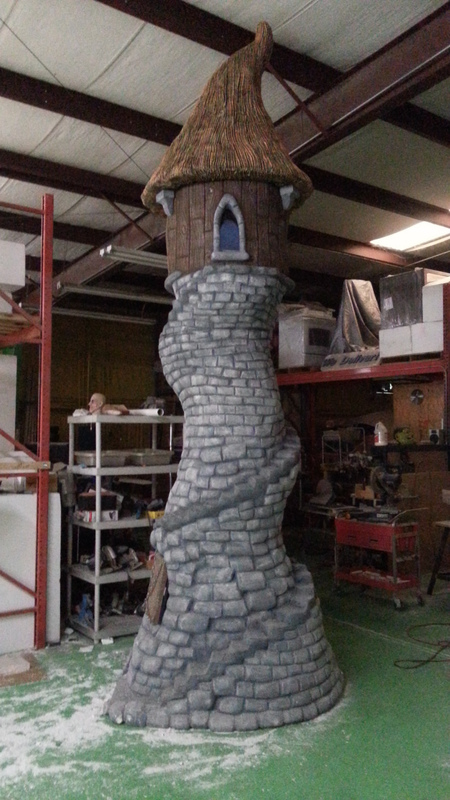 This is an awesome 16 foot tall Halloween prop. Perfect to use as a centerpiece at any event or part of your theme. 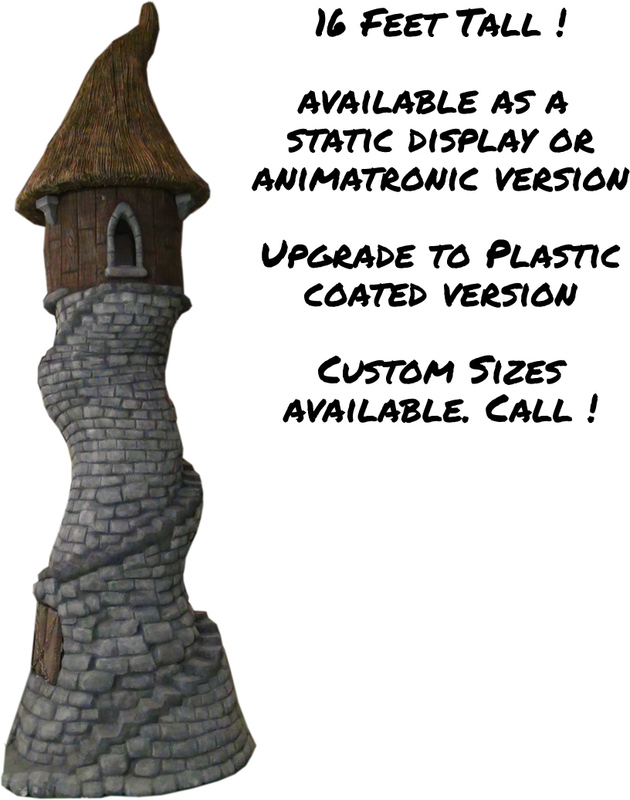 You can order the Witch Tower foam prop as a static display. If so the monster doors are just carved and do not move. The tower window is painted black. UPGRADE ! Upgrade this Halloween tower prop to plastic coated. This gives a hard plastic shell on the display and helps to protect the piece from damage. UPGRADE to the Animatronic package! This adds animated monster doors to the Witch Tower Prop. Monster sound and lighting simulates a monster roaring to burst out of the chained doors. You'll grab any audience member's attention with this menacing 16 foot Witch Tower animatronic prop!